In terms of heart diseases, researchers from Asan hospital, Seoul represented AI which can concisely predict ventricular tachycardia before 1 hour from when it strokes. 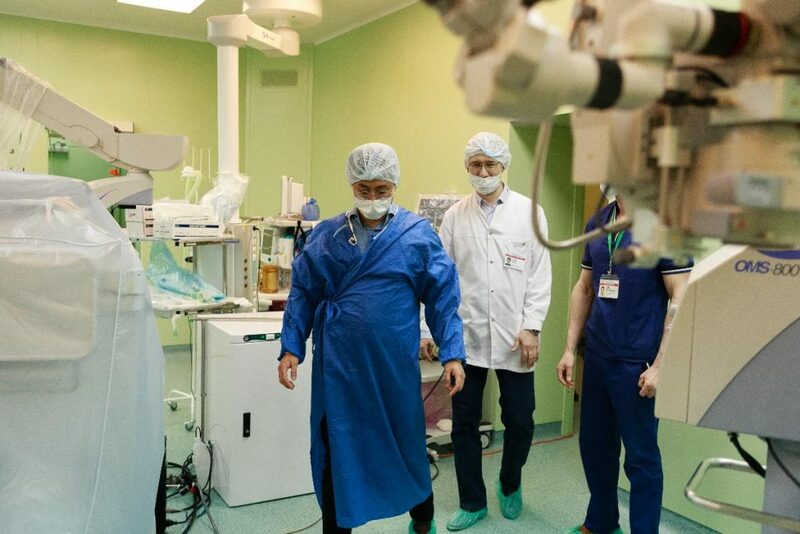 This increased the viability of patients from heart attack but required the human effort to set an artificial neural network which was based on specific feature. Furthermore, researchers from Vuno institution, developed DeepEWS, which used RNN (Recurrent Neural Network) deep learning system to learn 7 types of information from individual patient. RNN was used for this system as researchers wanted to predict heart disease before 24 hours and concentrate on data variance and reducing false warning alert. Similarly, Cardiogram applied deep learning to the heartbeat sensor in wearable device to identify atrial fibrillation and atrial flutter as heartbeat’s distinctive rhythm was able to recognize some irregular pulse. Irregular pulse specificity of wearable device was evaluated with two criteria (Sequence F1- figure out arrhythmia on proper time, Set F1- detect arrhythmia from whole data). 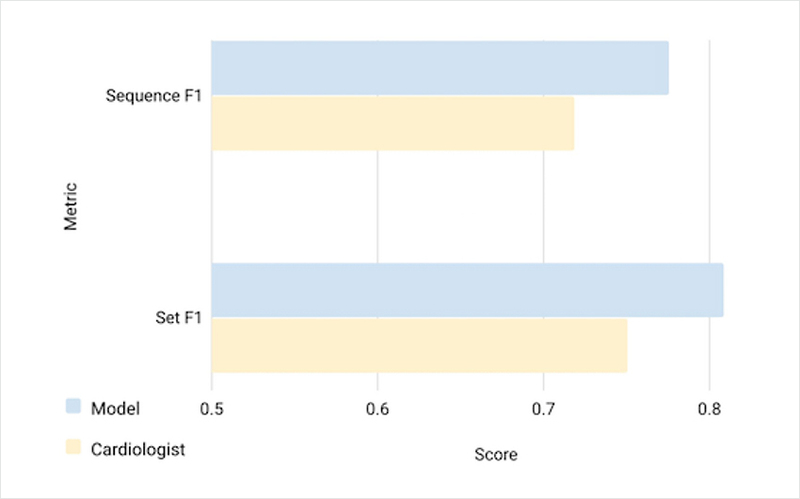 As a result, deep learning was showing much higher specificity with both sequence F1 and set F1 when it compared to cardiologist. This research identified that AI could easily classify two types of atrioventricular block which most professional cardiologists were having difficulty to identify. If data aggregation (electrocardiogram, heartbeat rate…etc), analyzing, and classifying can be constantly processed through wearable device or apple watch, predicting heart diseases with high accuracy will be developed. In our past medical society, some researchers expected AI will replace professional physicians as it is based on big data and derive more accurate results than human without any bias. Machine learning, which learns data via math equations and setting rules like a human, is commonly used in filtering spam mails, face and voice recognition in our presented society. Since AI is still developing on broad area and playing critical roles much faster and clearer than human, unemployment is becoming a serious issue. Furthermore, deep learning has been developed since 2010 by using artificial neural network. It is similar to human brain as several layers and different algorithms can process learning in depth. As an amount of high quality data has been increased and accumulated in medical field, deep learning became compatible with medical field. Artificial intelligence can be classified to three types (narrow, general, super) and all of these are focused on solving problem which humans are having difficulty. 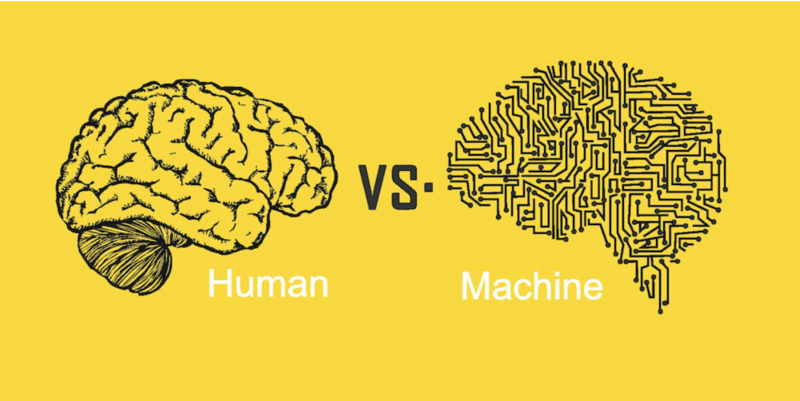 When general AI is compared to narrow AI, general AI can think and analyze information or data like human can do. Moreover, super AI is not clearly developed yet but it will become available to develop itself even more than human can develop with their brain. This is the reason why super AI is controversial in our society. 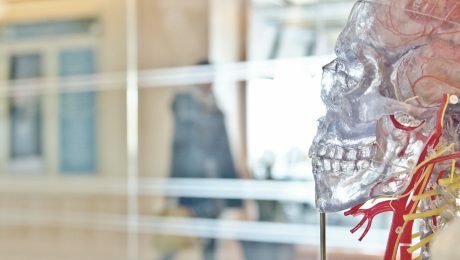 In our presented medical society, professional physicians and researchers are more focused on developing pattern recognition, memorizing, and classifying knowledge of AI. Best way for us to develop AI is combining with human ability and deriving new profit. 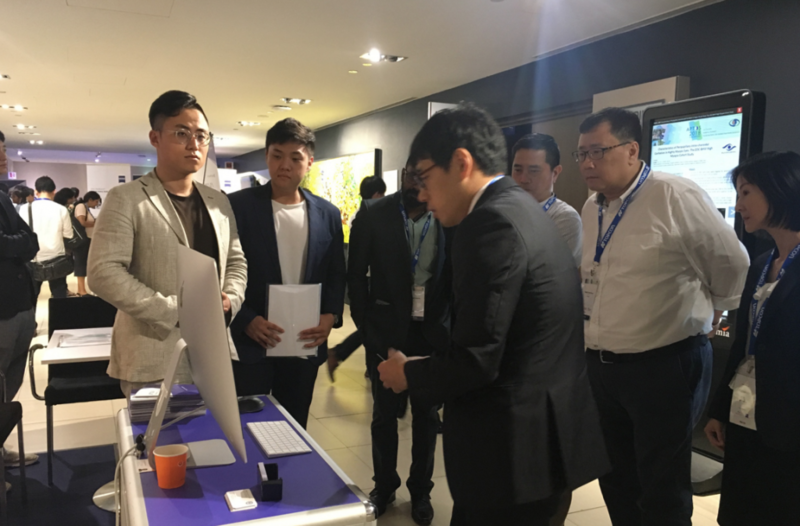 If people can regulate and apply rules to AI in medical field, AI application can effectively work. Google displayed the AI technology which can predict individual patient’s medical treatment results by analyzing their electronic health record (EHR) through deep learning system. It was difficult to analyze EHR as several complicated data such as the quantity of patients, different type of diseases, prescriptions, and surgical operations are presented. Moreover, since some data is not being presented in EHR, limitations are still remaining in usage of deep learning process. 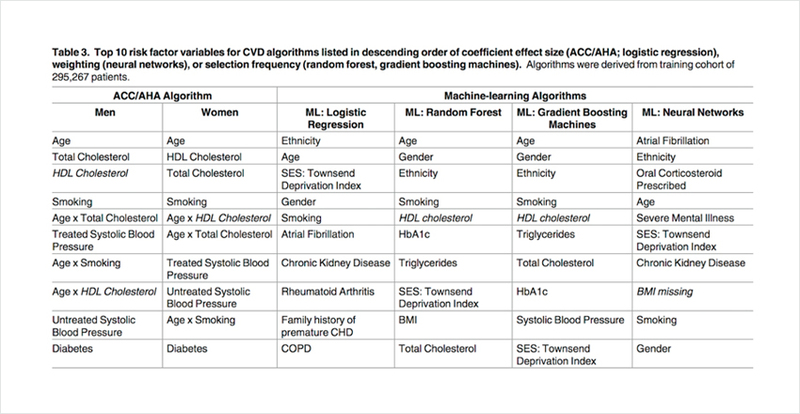 To solve this problem, professional physician needed to select critical cases from whole EHR database to increase specificity of prediction model until deep learning process developed. As deep learning learned the whole data of EHR and identified the important source by itself, it allowed physicians to predict patient’s health status while processing or after medical treatment and presented the diagnostic name when patients discharged from hospital. 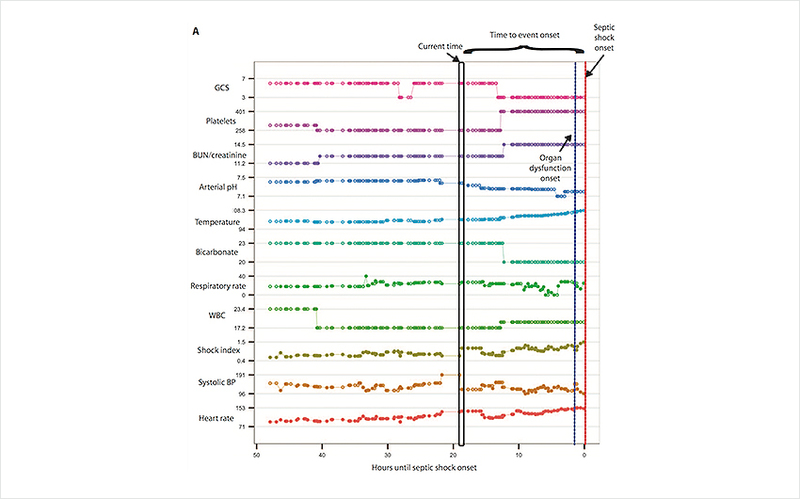 Deep learning was able to recognize the important source of whole EHR data, and this led researchers to find out that AI regarded impatient mortality as the first critical factor. It also “scale up” the prediction model as deep learning could emit every process such as preparing and adding supplemental academic data. An AI technology which Google has been presented is very efficient to predict and prevent patient’s risk as deep learning can analyze complex medical data and provide prospective results. Medi Whale and its product, Dr. Noon, was introduced to media by the Korea Economic Daily. The article is based on interview of Choi, the CEO of Medi Whale. Choi said that their program Dr. Noon can “diagnose disease risk of cardiovascular, macular, and optic nerve with 95% reliability by analyzing the fundus image”. The article introduces that Choi started the company with an ophthalmology doctor of Yonsei college of medicine. 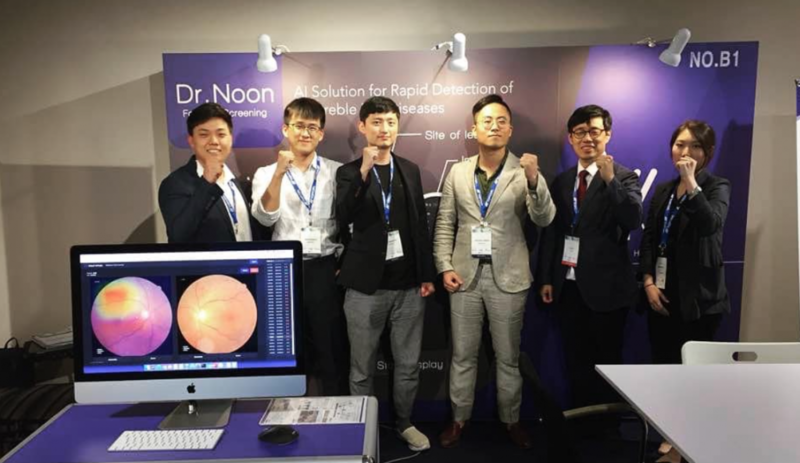 As it says, Medi Whale has collected 0.1million fundus images for AI training and made a technology agreement with Yonsei college of Medicine. Dr. Noon is useful for diabetic patients, according to the article. Diabetic retinopathy, which is one of the most popular complication of diabetics, can lead patient to blindness if the patient do not go through regular eye examination. Medi whale is on its way starting the clinical trials next month for medical use approval. Medi Whale is also working on a AI diagnosis supporting program for cardiovascular disease examination. Choi said that by fundus image examination, previous cardiovascular disease examination CT can be replaced with cost decrease from USD 500~600 to USD 10. Link to the full article as below. 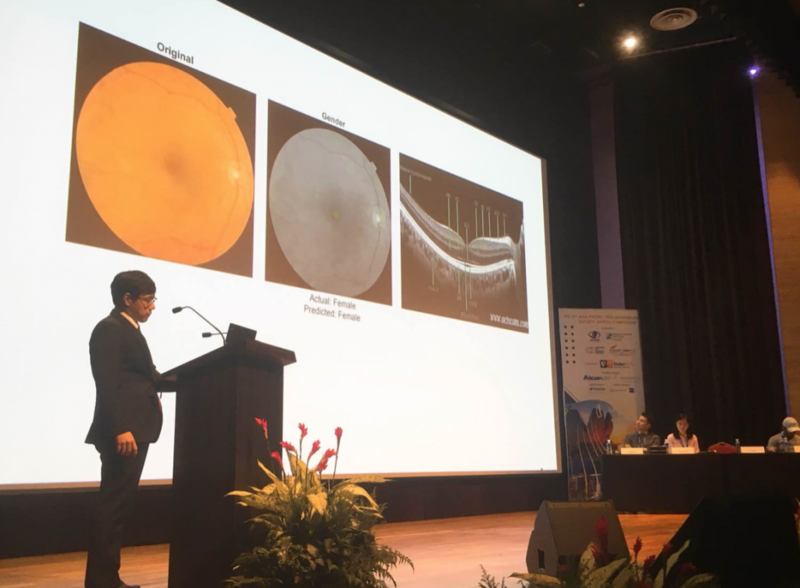 Along with the study of evaluating diabetic retinopathy by applying deep learning to retinal fundus image, predicting cardiovascular risk factor also became focused in medical field. 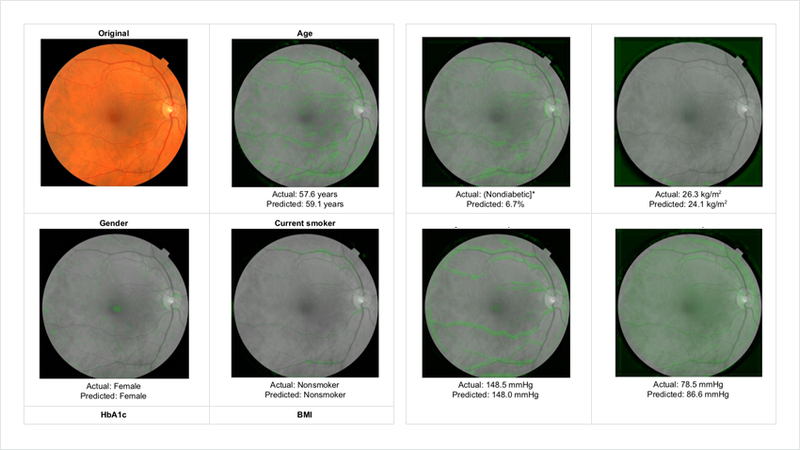 As identified retinal fundus images can display distinctive features of optic disc or blood vessels, correlation between heart diseases and retinal disease, it allowed to predict the cardiovascular risk factors via deep learning. Other parameters like age, gender, blood pressure, body mass index, glucose, and cholesterol levels can critically impact different phenotype of retinal images and suggest additional signals of the risk. Every additional signals can be rapidly derived from various retinal images via spending cheap price (Very Efficient). Ophthalmologists​ used the methods of highlighting different anatomical location of retinal by markers ​to​ ​identify​ and​ ​predict the risk factors. Blood​ ​vessels​ ​were​ ​highlighted​​ ​to​ ​predict​ ​risk​ ​factors such​ ​as​ ​age, ​smoking​, ​and​ ​SBP. For​ ​other​ ​predictions, ​such​ ​as​ ​diastolic​ ​blood​ ​pressure​ ​and​ ​BMI,​​ ​the​ ​circular​ ​border​ ​of​ ​the​ ​image was highlighted and suggested​ ​that​ ​the​ ​signals​​ ​will be ​distributed​ ​more​ ​​throughout​ ​the image.